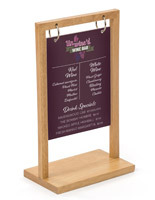 This flip top table tent is the perfect menu holder for any bar or restaurant. 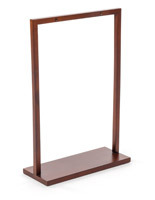 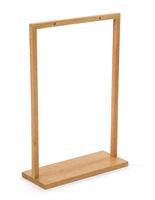 An 8.5” x 11” wood frame with a deep brown finish is sure to complement your existing décor. 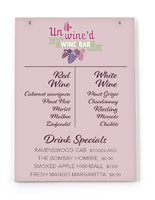 Double-sided custom graphics hang from the flip top table tent. 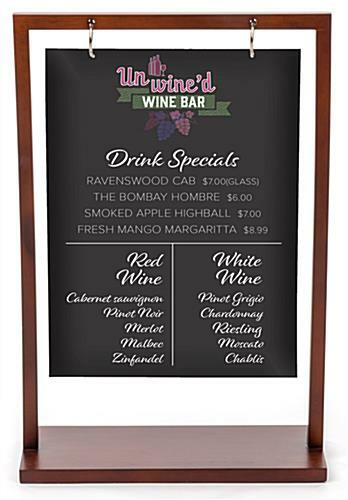 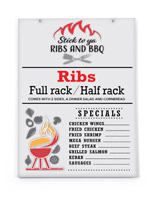 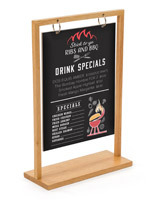 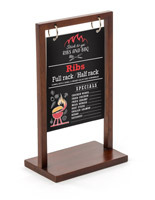 This menu holder and personalized foam board combo is ideal for sharing restaurant specials or brand messages with your patrons in a retail setting. 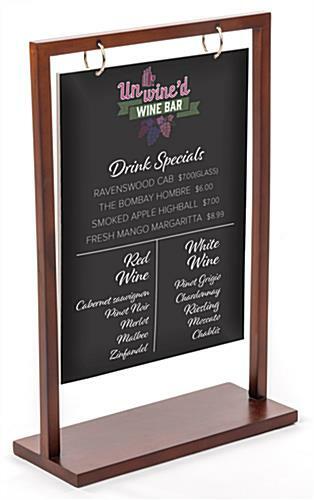 Replacement foam board pieces with double-sided custom graphics are available. 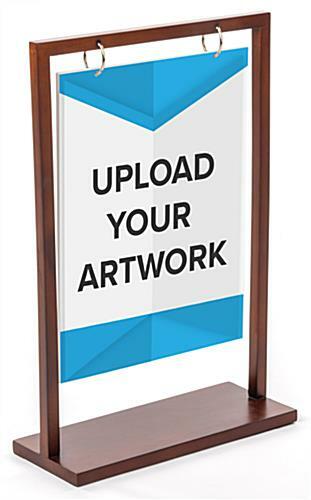 This wood flip top table tent with a deep brown finish is an elegant way to share messages with your guests.